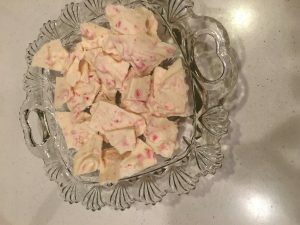 Let’s begin with my son’s favorite, Peppermint Bark. It’s funny that he likes this at all as he isn’t a big fan of peppermint in general and frequently finds minty flavors to be “too spicy”. 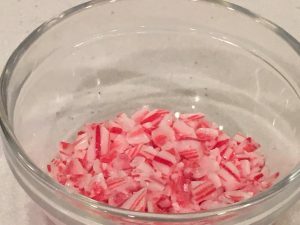 Note: You can use any type of candy cane, however I wouldn’t mix types in the same batch of bark as all types taste a bit different and might not blend very well. The first step is to smash the candy canes. This step can be quite messy and quiet fun. I typically place them, unwrapped, in a ziplock baggie, then wrap that inside a thin kitchen towel. Next I place this on a wooden cutting board and hammer away at the towel with the flat side of a meat tenderizer. 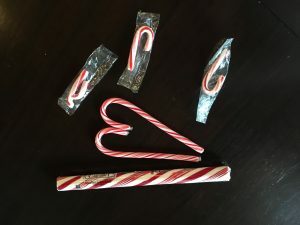 You want to break the candy canes into small pieces, but not crush them into a peppermint flavored powder. The Bark will look much more festive, and appetizing, if you can see bits of candy canes in the final product. Next, melt your white chocolate. 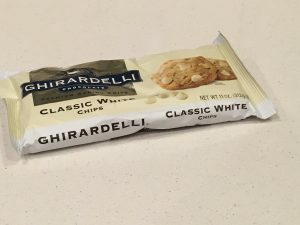 Even though my microwave has a setting to melt chocolate I never use this setting for white chocolate and instead I follow the directions on the white chocolate package. Again, any type of white chocolate can be used, but I do not recommend mixing chocolate types/brands in the same batch of bark. 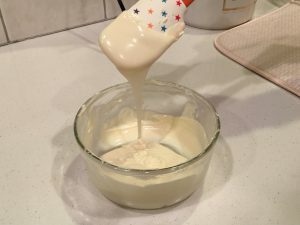 Note: for the best taste make sure you are using white chocolate and not vanilla flavored melting candy disks. This are great for other holiday treats, just not Bark. 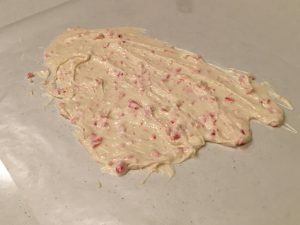 When the white chocolate is melted to a smooth consistency, mix in the smashed candy canes and quickly spread into an even layer, about 1/4 inch thick, onto wax paper. Let the mixture harden and cool. When the Bark is completely cool, break into random sized pieces by simply peeling the bark from the waxed paper. Pieces can be broken small or larger. I think it looks the best when the pieces are of varying size. Bark can be stored in an air-tight container or enjoyed right way. And honestly, who could store it all without enjoying at least a couple of pieces right away. After all, it needs to be taste tested. At least that’s what I tell myself.